I love this sketch. I could have easily used one or even three photos if I wanted to. I chose to stick to the intended 2 photos. The papers and embellishments I selected are really busy, So I eliminated some of the layers in the sketch. For my page, the banners weren't necessary and I went with larger embellishment clusters. 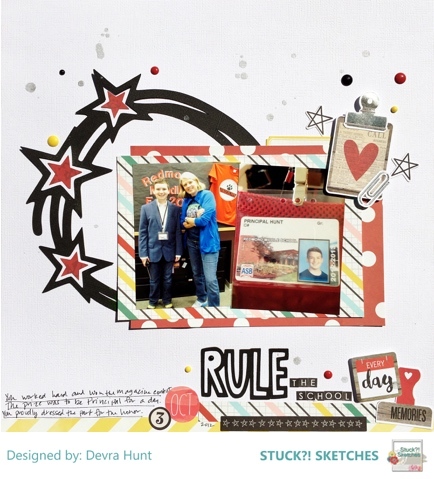 This was a great opportunity for me to use the Scribble Scrabble and Boys Rule cut files from The Cut Shoppe. 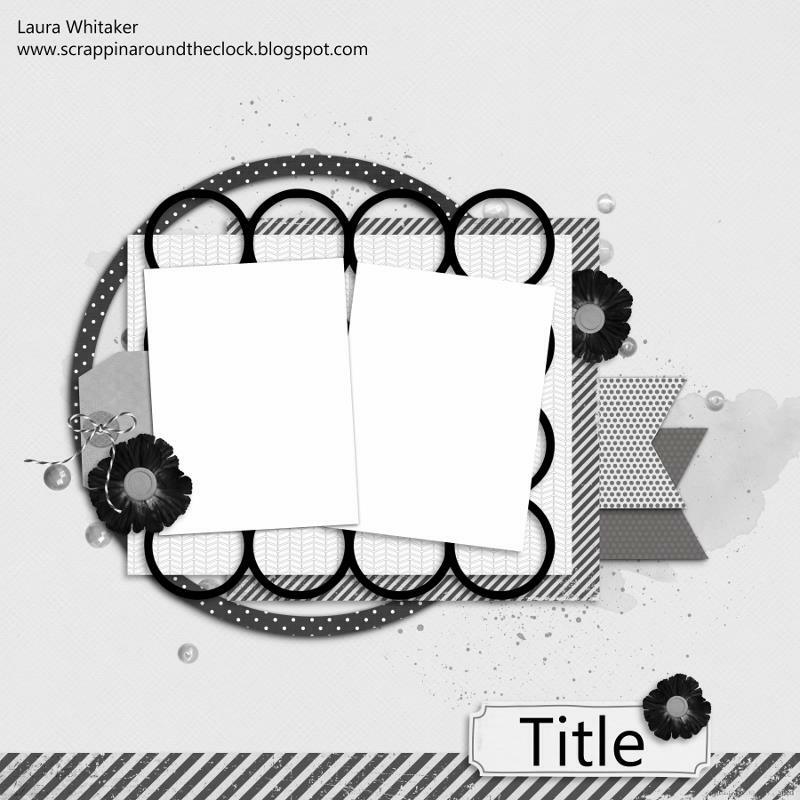 I deconstructed the 'rule' part of the file to create my title. My son won a contest at school with the prize allowing him to be Principal for a day. He was so proud he wore his bed tracker and dress shoes to school that day. He had several responsibilities throughout the day, including having lunch with the Principal in her office. I thought this was a creative incentive for students and was thrilled he had the opportunity to do this. Join the challenge this time around for an chance to win prizes form our two generous sponsors. Please read the rules on the Stuck?! Sketches blog. This is so perfect, love that cut file too!